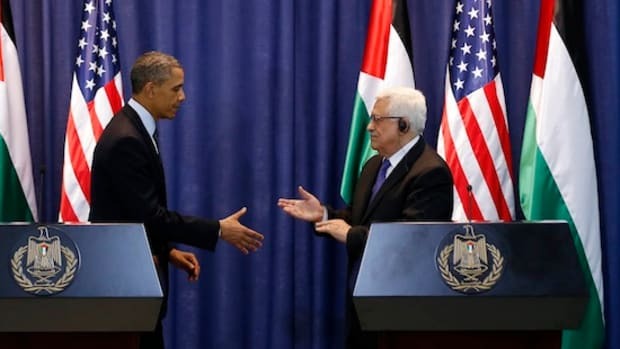 As far as criticism of Israel goes, Obama's diplomatic boilerplate pales in comparison to the going-over that CNN's Jake Tapper gave to Israeli airstrikes on Wednesday. 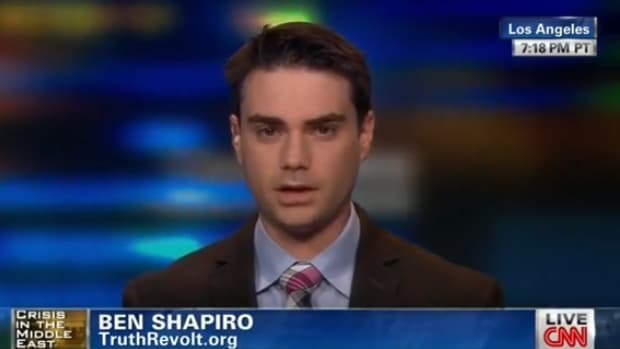 Breitbart News editor Ben Shapiro got some mild pushback from Fox News&apos; Megyn Kelly when he called the Obama White House a "borderline Jew-hating administration" for urging Israel to show restraint in responding to Hamas rocket attacks, but as criticism of Israel goes, Obama&apos;s diplomatic boilerplate pales in comparison to the going-over that CNN&apos;s Jake Tapper gave to Israeli airstrikes on Wednesday. 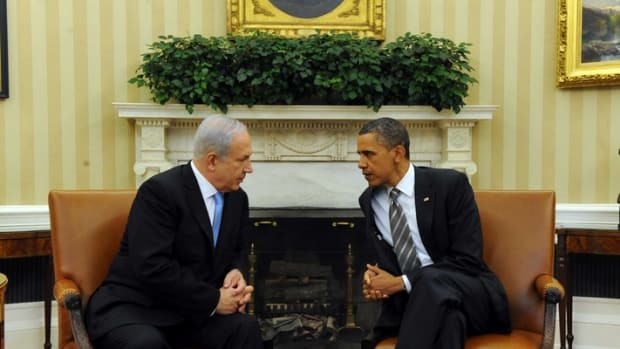 President Obama and Prime Minister Netanyahu spoke today by phone. The President reiterated the United States’ strong condemnation of continuing rocket fire into Israel by Hamas and other terrorist organizations in Gaza and reaffirmed Israel’s right to defend itself against these attacks. The President expressed concern about the risk of further escalation and emphasized the need for all sides to do everything they can to protect the lives of civilians and restore calm. The United States remains prepared to facilitate a cessation of hostilities, including a return to the November 2012 ceasefire agreement. The President once again expressed condolences to the people of Israel on the kidnapping and murder of teenagers Gilad Shaar, Eyal Yifrach, and Naftali Fraenkel, who was an American and Israeli citizen, and urged that the perpetrators be brought to justice. 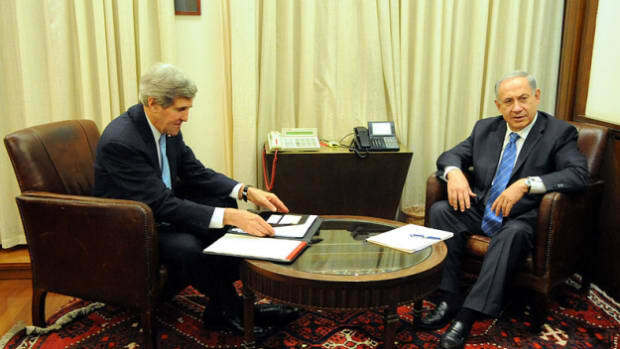 The two leaders also discussed the situation in East Jerusalem and the West Bank. The President welcomed the arrest of suspects in the abduction and murder of Palestinian teenager Muhammad Abu Khdeir and expressed appreciation for the Prime Minister’s determination to see that they be brought to justice. He expressed concern about the beating and detention of teenage American citizen Tariq Khdeir and acknowledged Israel’s efforts to resolve this case. The two leaders discussed the P5+1 negotiations with Iran and the President reiterated that the United States will not accept any agreement that does not ensure that Iran&apos;s nuclear program is for exclusively peaceful purposes. That ever-so-gentle statement is what caused Shapiro to call President Obama a "borderline Jew-hater," as opposed to Jew-haters who favor Madonna&apos;s later work, I suppose. It has become de rigueur on the pro-Israel right to label any criticism whatsoever of the Israeli government as anti-Semitism, so that even liberal journalists with no reason to care what right-wingers think enrobe their critiques in layers of bubble wrap. On Thursday night&apos;s All In, for example, host Chris Hayes delivered a thoughtful commentary on Israeli airstrikes that was, nevertheless, delivered from atop a bed of perfectly-arranged eggshells. He referred to the "glaring asymmetry" in casualties between Hamas&apos; recent rocket attacks (zero) and Israeli airstrikes (89 Palestinians, including 15 women and 24 children), and concluding that if enough innocent people are killed, "people stop caring what you meant to do." 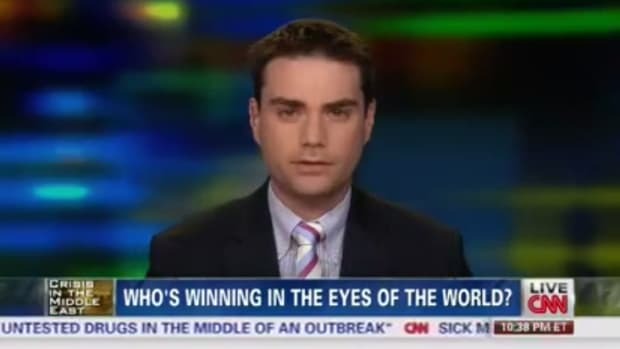 It makes you wonder, then, what Ben Shapiro would make of Jake Tapper&apos;s interview with Israeli Ambassador to the United States Ron Dermer on Wednesday. In discussing the escalating violence, Tapper pressed Amb. Dermer on the subject of civilian casualties, and not in the "old college try" way that some journalists do. 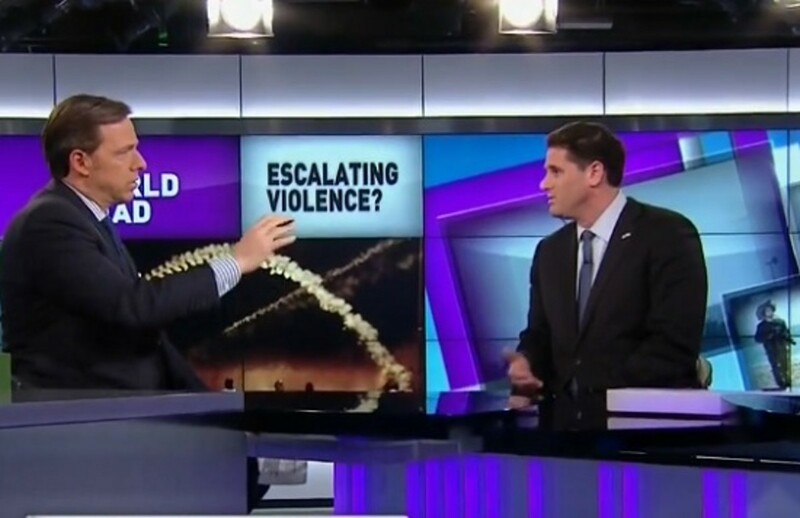 Dermer explained the "big moral difference between Hamas and Israel," that "Hamas deliberately targets our civilians," while Israel "is surgically striking at the terrorists," and that "the vast majority of the people who were killed are not innocent civilians." TAPPER: If you&apos;re unloading 500 tons of explosives which the IDF says it dropped in Gaza today, in the last two days, even if you&apos;re being precise, there are going to be innocent civilians killed. I get what you&apos;re saying about who Hamas targets versus who the IDF targets, point taken. 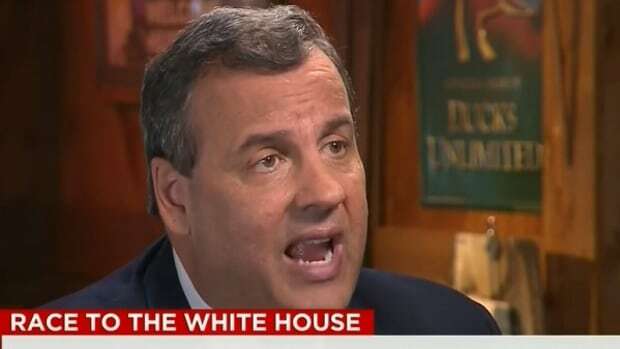 But if you&apos;re putting that much ordinance in Gaza, you&apos;re going to kill innocent Palestinians." DERMER: Jake I was born and raised in this country. Let me ask you a question. What do you think Americans would do if over 200 million Americans were in bomb shelters? What do you think the American people would demand that their government would do when you have a terror organization, you know who they are, you know where they are and they&apos;re firing rockets? 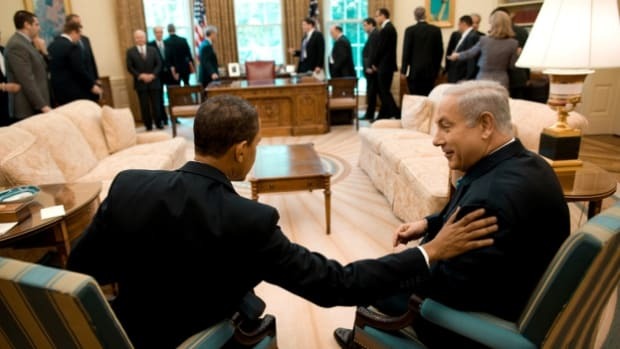 Do you think that America would use less force than Israel is using now? 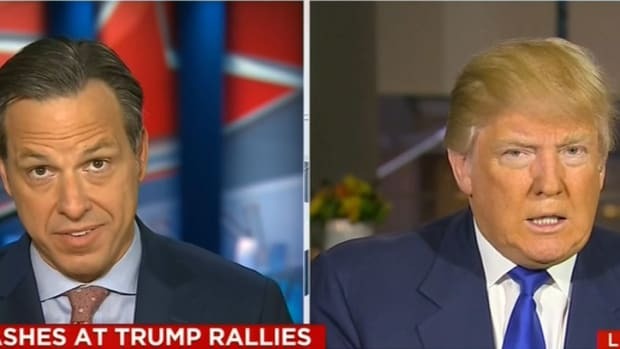 TAPPER: I mean, the hypothetical is essentially meaningless because is -- I mean, is America building housing in Mexico at the time? I mean, it&apos;s an extrapolation. It was the very definition of a tough interview, one which much more effectively laid out the legitimate criticism of these airstrikes than anything else I&apos;ve seen. While the right is busy calling Barack Obama a Jew-hater for financing the Iron Dome missile defense system that keeps those Hamas rockets from killing anyone, they are also busy praising Tapper for his equally tough treatment of a former PLO spokesperson. It seems like they&apos;re tuning out at least half of what these guys are saying.